Hello all, and happy Canada Day to you! Today is the national holiday that marks the day that Confederation took place. For those not familiar, this historic event took place on July 1, 1867, when the three colonies of British North America came together to become the four provinces – Ontario, Quebec, Nova Scotia and New Brunswick – of the Dominion of Canada. Thereafter, July 1st became known as “Dominion Day” – until 1982 when the Canadian constitution was patriated, at which point it was renamed Canada Day. 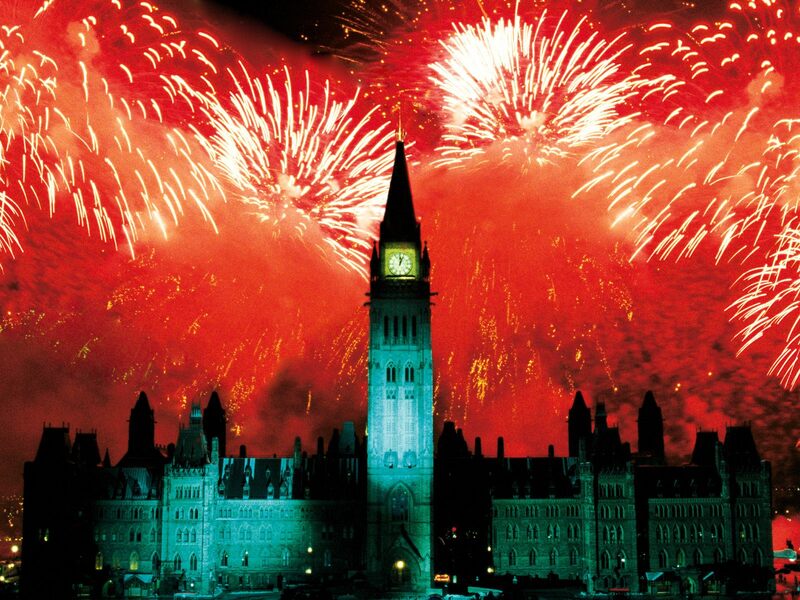 Growing up in Ottawa – the nation’s capitol – Canada Day was always a special time. As a kid, it usually involved having a barbeque at home and proceeding to head downtown to see the crowds gather on Parliament Hill. At sundown, the fireworks display would begin, and we’d watch as from Major’s Hill Park (just across the canal from Parliament Hill) as thousands of them would go off above the clock tower (pictured above). As I got older, the ritual remained the same, only it began to involve myself and my closest friends doing it instead. We’d start out at a friend’s house (more often than not, Luke would be the host). After some burgers or some other barbequed meal, washed down generously with beer or some other spirituous beverage, we’d proceed downtown. Once there, we’d get lost in the festivities, which would be pretty damn raucous and overwhelming! To describe it, imagine 100,000 people crowded into the space of about 3 square kms. 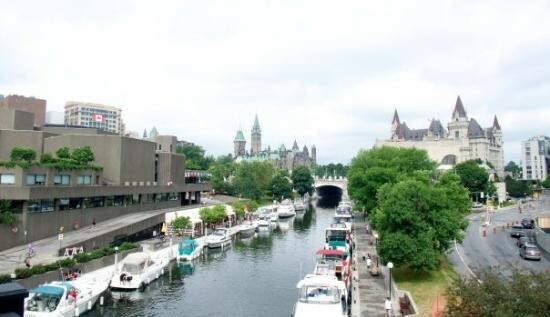 That’s where Parliament Hill, the downtown area, the Rideau Center, the old Bytown area, the War Memorial, the entrance to the Rideau Canal, and a slew of other major attractions are located. Vendors and buskers are out and about, people have their faces painted and sport flags, and the festive spirit just gets inside you and makes you want to party. And of course, there is the televised concert taking place on the Hill, which features bands from all over Canada leading people in celebration. It was one of my fondest memories of living in Ottawa, and something I truly miss now that I live out here on the West Coast. Of course, Victoria puts on a might fine celebration as well, which has all the same high points. But since this is not the town I grew up in, it’s never quite had the same meaning for me. So here’s to Canada, and here’s hoping that everybody out there has a day that holds special meaning to them too, and that they get to enjoy it this year without incident, stress or worry. And to all my American compatriots (including my sister and brother-in-law) happy soon-to-be Fourth of July!